The Star Trek Tricorder – Almost Here? It’s amazing to me how many of our new inventions have their roots in science fiction. The original flip-phones look very similar to the Star Trek communicator. Gestural interfaces entered our consciousness through Minority Report . If you remember the Tricorder from Star Trek, it was a device that could diagnose patients with a simple wave. That too, may be a reality soon, in some capacity. In January of this year, the X Prize Foundation started a $10 million competition to build a real Tricorder. With the current convergence of innovations in sensors, wireless communication, and high powered processors, the Tricorder may very well be possible today. The foundation, funded by Qualcomm, created a set of requirements for the competition. 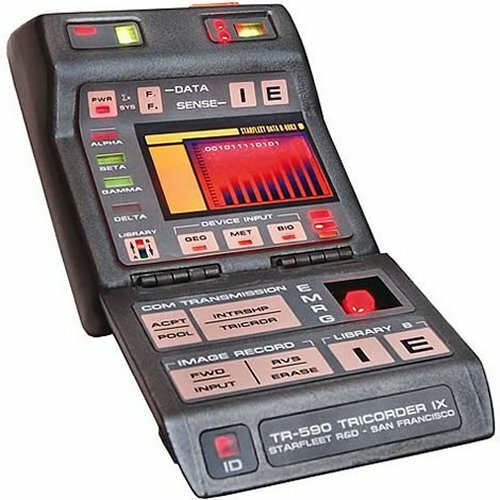 The Tricorder must be able to diagnose a set of conditions such as diabetes, anaemia, etc. In addition, it must be simple enough for a regular consumer and weigh no more than 5 pounds. These last two limits are crucial. By making the device simple and portable, it enables a wide audience of regular people to take control of their health. Marginalized users, such as caregivers in rural areas, can take advantage of medical technology more advanced than what many hospitals have access to. Home users could determine whether a visit to an ER is necessary, diagnosing issues such as a heart attack or stroke that may require immediate attention. Of course the device currently needs more that just a wave to work, but nothing invasive. The next step, of course, is to take that data to the cloud. 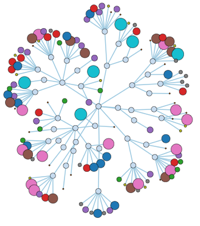 Data-mining algorithms could then find new patterns of disease detection and prevention. What does that mean to you? Well, on a personal level, it could detect your personal patterns that lead to migraine, stroke, or diabetes. On a global level, it could find new unnoticed symptoms before, during and after a disease. It could find correlations between symptoms that lead to a new understanding of certain conditions. Naturally, there will be many privacy issues to consider, and of course at first the Tricorder can only collect certain metrics. It won’t be able to tell if you are depressed or itchy, for example. Already, many people in the Quantified Self movement are tracking many of their own personal metrics, so a device like the Tricorder would be invaluable to them. But that’s a story for another day. What about you? Ready to be diagnosed by a Tricorder? Or still prefer the cold, long wait in your doctor’s waiting room?